Bachelor Degree in Social Sciences and Education from University of Northern Colorado. Collegiate studies in music theory and jazz. Owner of Summit Sound Studio; has recorded local commercials and local artists. Experienced in sound design and composition with Spokane’s Interplayer Theater. Member of Board of Directors for Thin Air Radio. Stanton Cobbs is the Instructor for Digital Recording, Songwriting and Composition. Mr. Cobbs has been a private music instructor for over 10 years at Holy Names Music Center. He specializes in teaching all styles of guitar and voice. He is also the owner and operator of Summit Sound Studio, a state-of-the-art digital recording studio located in Tum Tum, Washington. Mr. Cobbs has composed and produced a wide variety of original musical compositions. He has also composed music and designed the sound for the 2001-2002 season at Interplayers Theatre. His compositions include pieces for acoustic guitar, vocals and band. He has been teaching music for over thirty years and has performed in Spokane since 1981. Mr. Cobbs graduated from the University of Northern Colorado in 1972. Over the years I have learned how to teach beginners of any age… trombone, guitar, bass guitar, ukulele, banjo and mandolin, to learn to love the instrument and to begin to become proficient. My expert areas on the guitar are jazz, blues and pop singing with guitar accompaniment, country blues, and modern fingerstyle. I teach through intermediate classical guitar.Electric Guitar classic rock to current styles.I teach any age and instrument jazz improvisation, and improvisation over any style of music through the use of pentatonic scales, modes, and arpeggios. I accept students of all ages. For students under 9 years of age, I would prefer that the parent attend lessons with the student in order to be able to reinforce techniques in the home. John Paul Shields is a guitar performer, composer, and instructor with over 20 years of professional experience, currently based in Spokane, WA. A graduate of the University of Washington in classical guitar, with a masters in classical guitar performance from the University of Idaho, John Paul has performed worldwide in a colorful array of settings, from public festivals in Peru to Seattle’s esteemed Benaroya hall to live on radio and television. A passionate musician dedicated to the lifelong pursuit of learning, John Paul has played as both soloist and in ensembles of all types and sizes, in multiple genres of music. In 2008, John Paul’s career moved him to Peru, where, in addition to performing and teaching, he studied the rich intricacies of Andean folk guitar music. John Paul worked with several renowned musicians in Peru, including Frank Collazos, Luis Salazar Mejía and the legendary guitarist Raúl García Zárate, who was chosen as one of the 100 most influential people in Latin American culture. Recently, John Paul has just edited and recorded all the music examples for the Andean guitar method, Método Guitarra Andina Peruana, written by Luis Salazar Mejía. 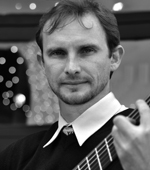 Besides his work on Peruvian and classical guitar repertoire, Mr. Shields currently teaches guitar at Spokane Falls Community College in Spokane, WA. Additionally, John Paul teaches for Guitars in Recovery through Holy Names Music Center, a program that offers lessons and guitars to veterans with PTSD. Mr. Shields also plays with University of Idaho guitar professor James Reid in the guitar duo, South Hill Guitars, and recently recorded their first album, Coyote Dances. Meanwhile, Mr. Shields continues to pursue his Alexander Technique studies under his mentors Bill Conable and Shawn Copeland. Somebody should check your websites clock. Says I posted 6 hours into the future. Thank you we will look into this. Nick has been forwarded your message and will contact you. Thanks!